"When trout are stocked anywhere, they practically stay in the shape of the bucket until they are all fished out." 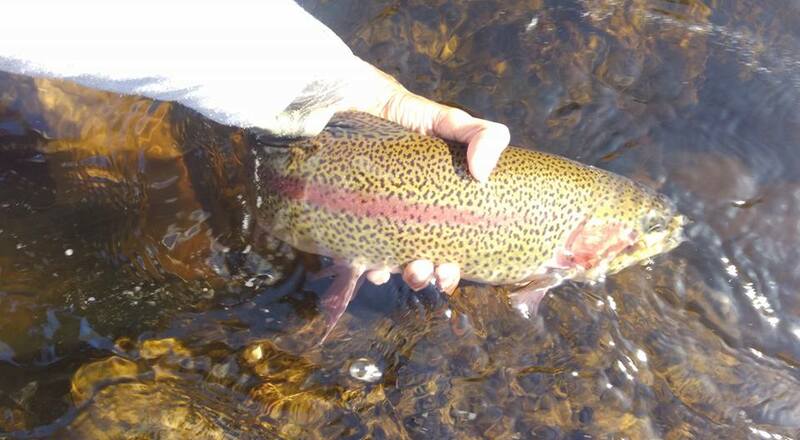 New Hampshire has many amazing fisheries and a lot of potential. I know Fish and Game stocks to appeal to the people that buy licenses but they should realize that FLY ANGLERS also purchase licenses. If the reputation of the state's fisheries go up due to stricter regulations and management, then out of state license purchases will go up which will help funding, you see where I'm going with this, right? On another note, I've recently learned that the DFW has stocked the Nissi and Squannie without notifying Evening Sun Fly Shop. For those who don't know, Charles Shadan of Evening Sun Fly Shop organizes volunteer groups to assist the DFW in the stocking of these two rivers. This helps foster an intimate connection between the angler, the fish, and the stream since these fish are spread out in all the amazing holding spots and anglers can see the fish that they may soon land. I was very disappointed to learn that volunteer stockings wouldn't take place this year since I was hoping to finally participate. Talk to the DFW and voice your complaints. Any thoughts on this matter are appreciated since this is a very controversial post. Thanks for the read.